Cadets from the United States Military Academy at West Point volunteered to help with the spring clean up at St. George’s Cemetery on Washington Street in Newburgh, NY on April 18, 2015. 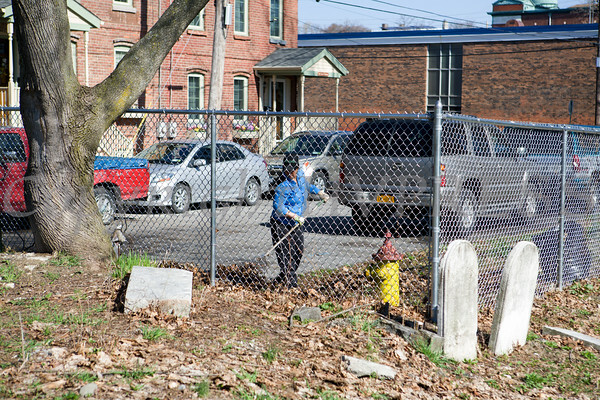 Pilar Arauco cleans up some leaves as Cadets from the United States Military Academy at West Point volunteered to help with the spring clean up at St. George’s Cemetery on Washington Street in Newburgh, NY on April 18, 2015. Hudson Valley Press/CHUCK STEWART, JR.